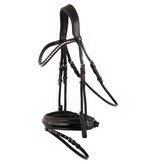 Symmetric bridle with an anatomically formed headpiece with soft padded lining. The curved browband with patent leather has been encrusted with SWAROVSKI ELEMENTS and has a soft padded lining. 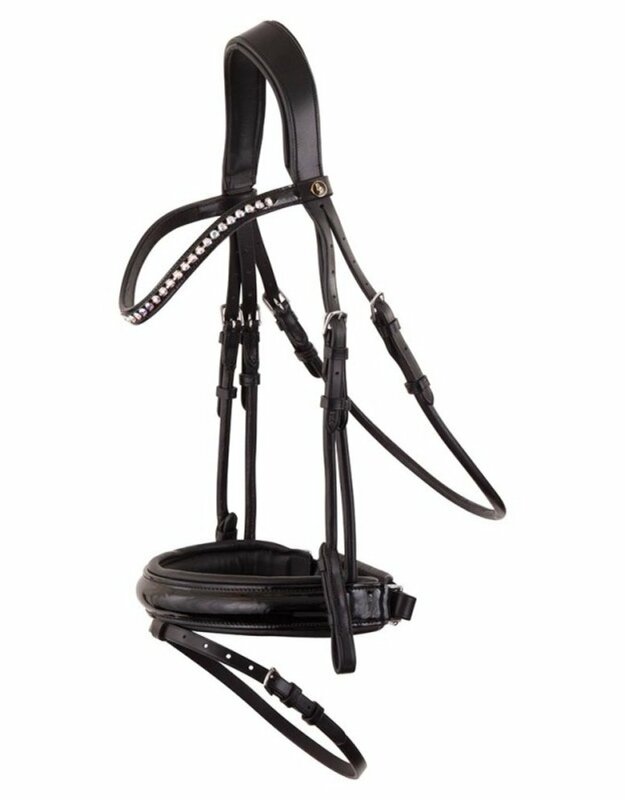 The extra wide (± 4.5 cm) crank flash noseband with patent leather is round raised, soft lined and has a wide chin pad with soft padded lining. 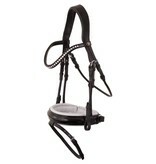 The bridle has a V-shaped flash attachment and hook stud billets. The noseband, throatlash and the cheekpieces are made of round stitched leather. 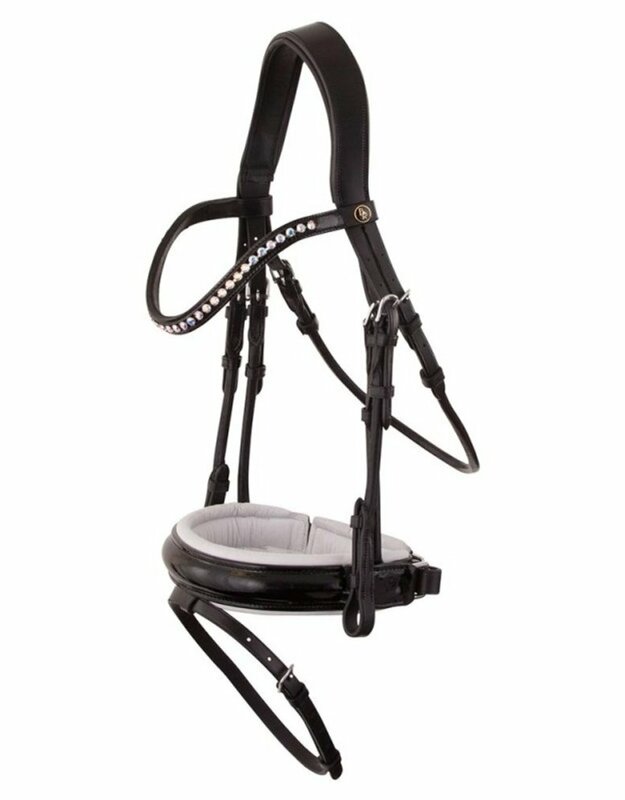 The bridle features round, shiny silver-coloured fittings. Supplied without reins.